I think I'm unconsciously on a crusade to save all the good actors who were wasted in 2015's Fantastic Four. And if ever that movie squandered a great performer, it did with Bell when he was buried under CGI rock. The Adventures of Tintin and Billy Elliot actor has a Christian Bale-esque determination to physically become his characters, and meanwhile has always maintained a quiet cunning that has served him well on "Turn" and in Snowpiercer. What's more, he's actually age-appropriate for the character and could sign on for sequels. Trust me, he's not going to be needed for another Fantastic Four. Bell might be the best pick if this project were a high-concept television format. Imagine the slow burn of pale, blade-faced Bell going from office intrigue leading up to the lab accident, then spending several episodes conserving pistol ammo and running for his life. Then, for the last few episodes he comes out swinging and goes full-McClane on those alien jerks. 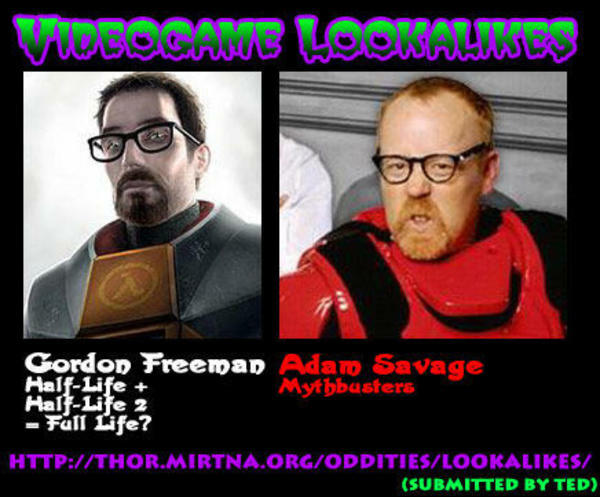 Editor's note: I'd love to see either Hugh Laurie or Adam Savage play Gordon Freeman, but that's mostly out of a love for the actors and a vague physical resemblance.